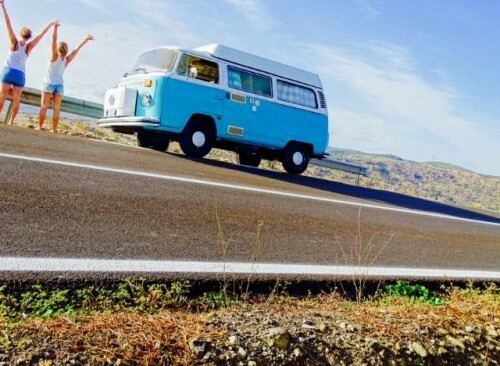 This page displays all the campervans that are available for hire in italy . If you would like further information or to speak to the camper's owner about hiring their van please visit their Camperbug page, by clicking below. I am Fanny, hire me today! A Westfalia born in 1976 in Germany. He crossed Europe for the first 6 years of his life before moving to Greece, where he spent his life up to his 38 years. It has 4 beds, a double bed in the roof and the rear seat that converts into another double bed. Inside, it is equipped with a practical kitchen with a cooker and a fridge.Rent it to discover the wonderful Sardinia!!! The van was born in Germany in 1977. And 'arrived in Sardinia 4 years ago and is no longer gone. She has 4 beds rear seat that becomes a bed, and another bed for 2 in the roof that opens! We are in Sardinia, so you can't go out of our island. Greata is a Volkswagen T4 Westfalia california.